(Age 2½ y to 3½ years on July 1) The tiny tots are not subjects to tough test or tricky interviews. An elementary intelligence test is all that the child is required to face. The parents should be educated and have the ability and have attitude to devote time towards the development of the child’s mental faculties. Class II onward, counter signed Transfer Certificate (TC) and Report Card of the previous school are essential. Note : 1. Students should come compulsorily along with their parents on the date of counselling. 2. Please attach photocopy of Board’s Mark-sheet with this form and bring original copy of the documents at the time of counseling. 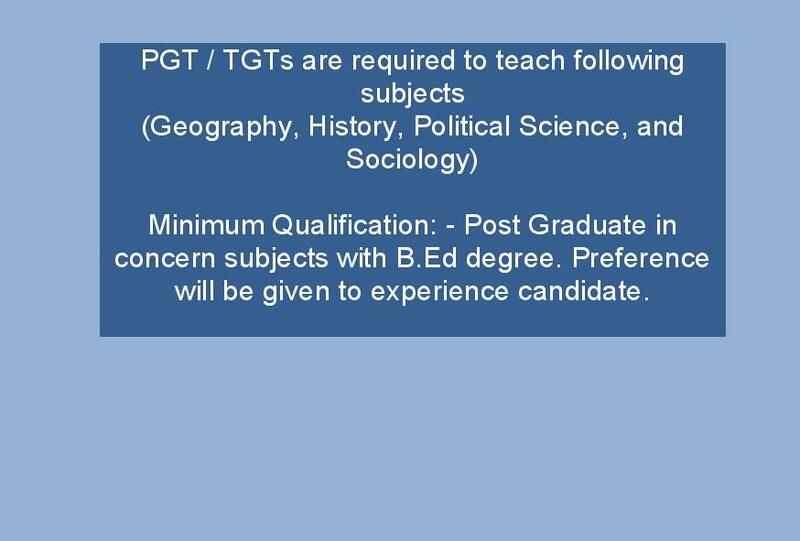 Subjects can be opted : Maths / Science / Biology / Biotech / Computer Sci. (C++ / Entrepreneurship / Hindi /IP) Commerce (Accountancy – Business Studies / Economics) Informatics Practices (IP) Physical Education. – Admissions are not open to Classes in between , 1 to IX except transfer cases and subjects to availability of seats – Fees as per schedule enclosed.